Washington D.C. is home to two known bald eagles’ nests, even though they are rare in urban areas. The nest at the National Arboretum is home to the beloved pair of eagles named “Mr. President” and “First Lady,” and the other pair has been located in a nest at the D.C. police academy with the names of “Liberty” and “Justice”. 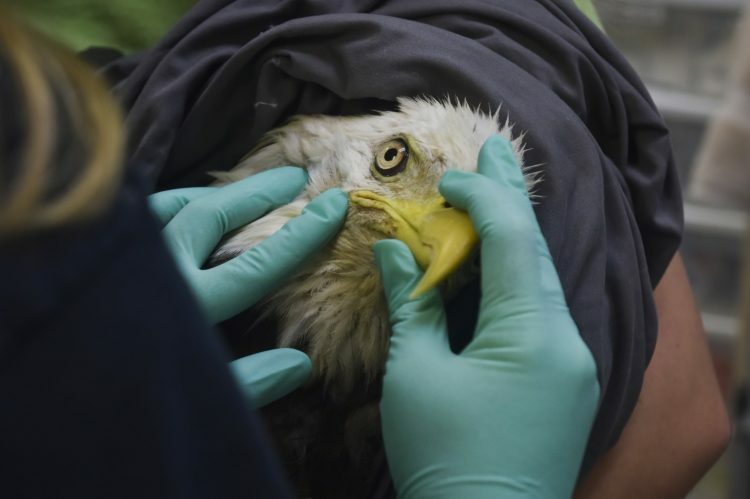 Following a brutal rain storm on Saturday, one of the eagles was found and taken to be treated Monday at City Wildlife in D.C. The injured bird is predicted by Wildlife Biologist, Dan Rauch, to be Justice based on its talon size and weight. Justice fell victim to chance as heavy rain conditions put bald eagles at risk of water being trapped under their feathers. This weighs them down, making it common for them to be grounded- where birds don’t thrive like they do in the skies. While alert during his examinations, Justice was said to have no obvious fractures or other signs of trauma according to Kristy Jacobus, the clinic director at City Wildlife in a report by The Washington Post. 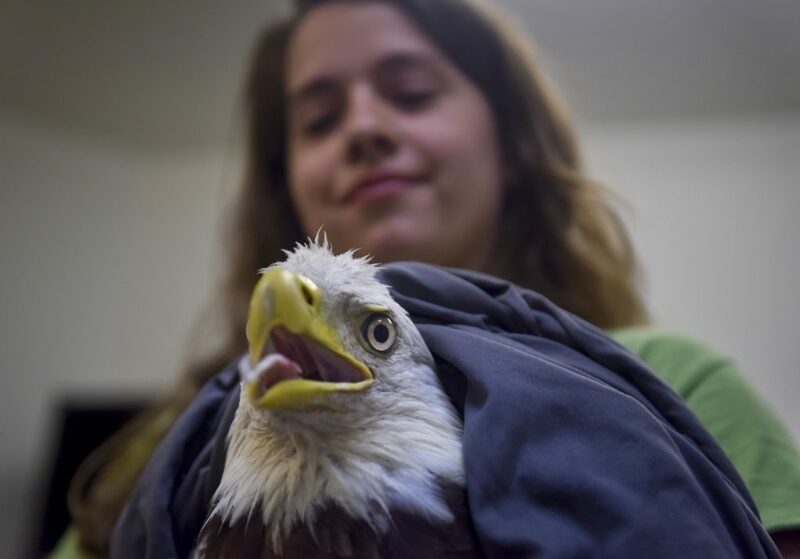 The male eagle weighed in at 9 pounds with wide, bright yellow eyes and its tongue out panting from the distress of close contact with humans and being in an unfamiliar environment. Nevertheless, the eagle was in wonderful hands with a plan to rehabilitate the bird and get it back to the District. The next step on the road to recovery is for the eagle to be transported to a center in Delaware for further examinations including X-rays. Once the bird is cleared, it will be on its way back to the nation’s capital. Next ArticleThe July Issue of Blue Ridge Outdoors is Live!